Why do swings stop swinging? What makes things change direction? 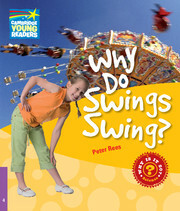 You can find the answers to these and other questions about movement in Why Do Swings Swing?